Lantern, Green — Warner Bros. film group head Jeff Robinov tells the LA Times that there will be a sequel to this summer’s Ryan Reynolds’ The Green Lantern, which will be “darker and edgier, with more emphasis on action.” Quick poll: raise your hands if there’s no doubt in your mind that this sequel was already long in the works before the first one came out and totally flopped. Okay, we have a consensus. Thanks, Hollywood, for knowing exactly what we want. After all, all those ad dollars spent on Burger King cups don’t pay for themselves. Yes, Kings of Leon, we're tired too. And tell that guy in the back to put on a shirt. 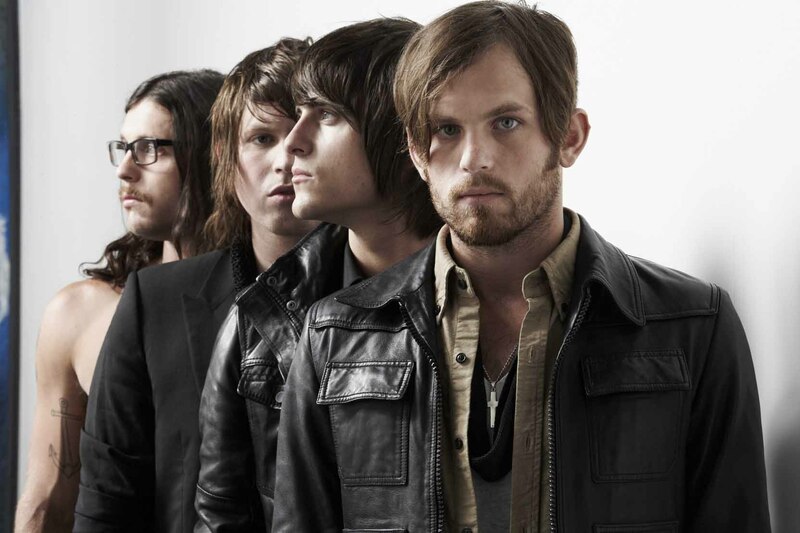 Leon, Kings of — Caleb Followill and company have officially canceled the remainder of their United States tour — it still has 26 dates to come — after claiming “exhaustion” as the reason. Finally, someone has acknowleged that I am exhausted of Kings of Leon. Morrissey — After making comparisons between Norway’s recent bombing massacre and Kentucky Fried Chicken’s purveying of fast food (yes, really), Morrissey has dug himself further into the hole by stating that if you didn’t like what happened in Norway, “it surely naturally follows that you feel horror at the murder of ANY innocent being. You cannot ignore animal suffering simply because animals ‘are not us. '” Everyone immediately began longing once again for the days when Morrissey was too sad to make an effort to talk about anything. Roles, Turned-Down — Would you have bought Sean Connery as Gandalf? How about John Travolta as Forrest Gump? Daryl Hannah as whatever-that-lady’s-name-was in Pretty Woman? Check out this seemingly endless – though endlessly interesting – list of stars and the iconic roles they turned down. Then try to imagine Jeff Goldblum as Han Solo. No, seriously. Sotheby’s — A contract dispute between an art handlers’ labor union and the esteemed Sotheby’s auction house has taken things outside after the art handlers — asked not to come back to work by the auction juggernaut — have begun picketing outside Sotheby’s headquarters in New York’s Upper East Side. So if you’re driving to work in Manhattan today, be prepared to stop and wait as high levels of snoot may cause a delay in traffic. ← The Simpsons vs. Family Guy vs. South Park vs…..